Cut off the tips of stems and cut them diagonally into half. Heat the vegetable oil on medium heat in frying pan. Add the okra and fry until their surfaces absorb the oil. 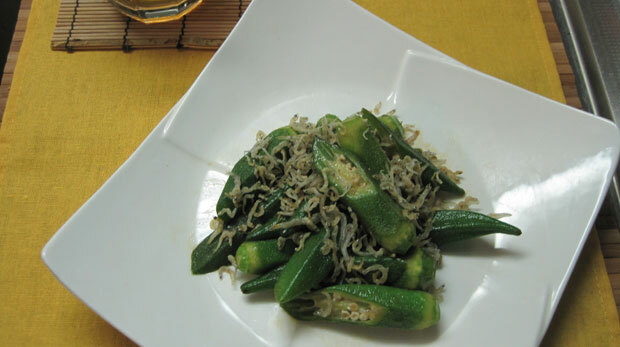 Add the chirimen jako (dried small young sardines) into the pan and fry until you’re satisfied with the fragant flavor. Sprinkle sake and soy sauce and stir it quickly.